Who run the world? GIRLS! 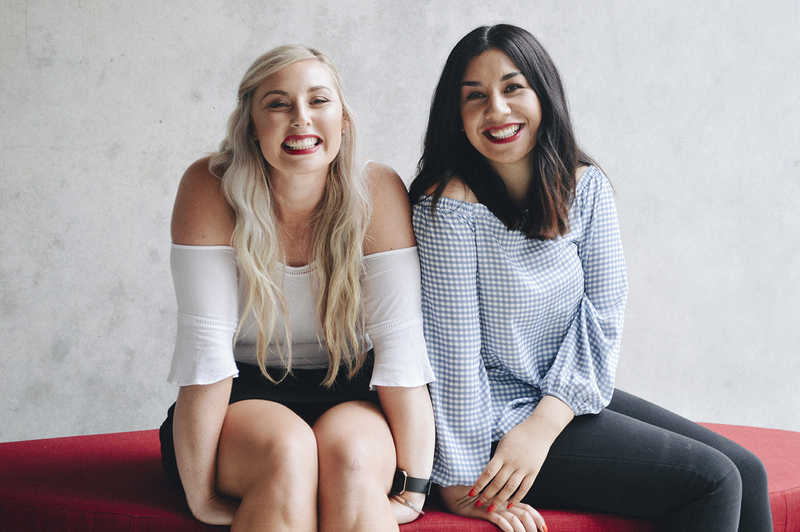 I instantly vibed with these two when they started popping up on my social media with their non for profit organisation, Prepair NZ. They share the same passion as we do here at GDNZ for self-love while they teach young women about healthy relationships and educating them on how to recognise unhealthy and abusive relationships. This message resonates with me on a number of levels, having been in a mentally abusive relationship myself for a number of years – but not recognising that until years later and after going through a whole lot of reflecting and soul searching. Sadly it seems to be a common situation for us as women (and men too #equality) throughout Aotearoa. 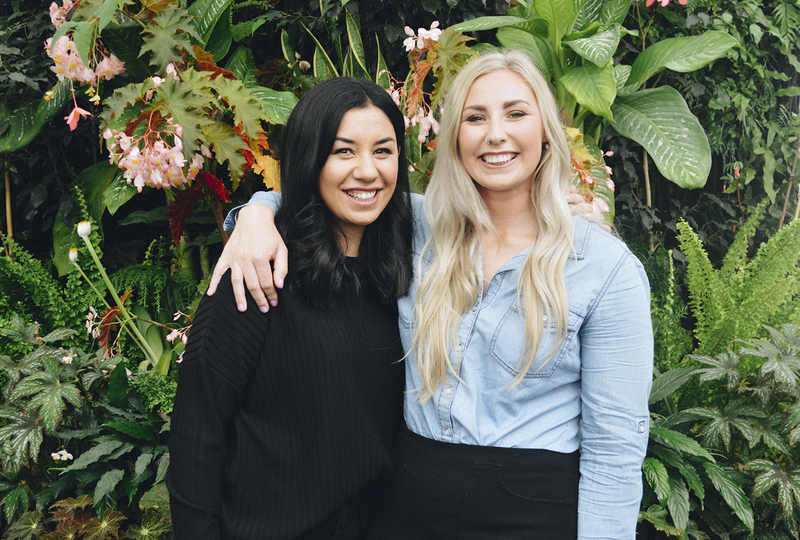 Liv and Irene are here to help change all that and they believe that starting with loving yourself is the key to healthy relationships, connections and experiences. And I couldn’t agree more!! A very inspirational and relatable read! Dig in!! Prepair NZ is an educational prevention strategy for domestic abuse in Aotearoa. We work with young women from 13-29 to advocate for healthy relationships firstly with self and then with others through workshops and a school programme. Part of our work is educate around the early signs of abuse in a relationship so our participants know what to do if they experience or witness it. Prepair NZ was started in 2015 by Irene and joined by Liv in the following year. We do this work because we both experienced an abusive relationship without any education of the warning signs or mental and emotional abuse. We found out years later and we really cannot bear the thought of other young women being trapped in a relationship and unaware that it is abusive. Liv: I wanted to be part of something I so needed when I was younger, Prepair enables me, and gives me a voice to educate and inspire women who were the old me. I am so inspired by the thought of a future generation of strong boss ladies who love themselves wholeheartedly, who chase their dreams, and whom contribute to a society which advocates for nothing but love. Irene: I really struggle with the idea that I left college knowing how to do algebra but I couldn’t identify that I was in an abusive relationship for four years. It made me really angry and at the same time really passionate about doing something about it. You could say the moment I found out, my fireheart was ignited. Now, I just won’t stop until something is done about it. My motivation is a vision of NZ free from domestic violence. Irene: In the beginning, showing up and being seen really challenged me. I knew one day I would need to share my story with others and I wanted the people I loved to hear the story directly from me rather than through others. I found it really hard to tell my story to my Dad because we are so close. I was afraid that hearing my story would hurt him. I ended up doing it in a letter it was so difficult to do face to face. I’m glad that I did because today he is so supportive of Prepair NZ and it means I can tell my story quite openly with others now knowing that he is there to back me 100%. Liv: One of my 6 month goals was to quit the gym and give Crossfit a try instead. Not only did I sign up, but I just participated in the 5 week ‘Crossfit Open’. This put me out of my comfort zone massively. But in doing so it allowed me to challenge myself, to get stronger and to meet some boss new people. Irene: This year I left my role as a bank manager to focus on myself and Prepair NZ. It took me a little while to go ahead and do it. After 9 years in the industry it was all I knew. I honestly thought I would struggle to change my lifestyle. I thought I would miss my income. I can truly say I have never regretted my choice and I’ve never missed my income. I’m living my life according to what I feel is right in that moment. I love living my life by design. Liv: Something I have learnt though many a mistake, is that often I set drastic and unattainable goals, and then when I don’t achieve them, I feel a sense of, guilt, failure and unworthiness. What I do now is start small, set mini goals, celebrate when I achieve them, and this gives me motivation and passion to continue until I get that big goal of mine. Irene: I knew for a long time that I wanted to work on Prepair NZ full time and I put it off for so long. I was afraid of what people would think of me for leaving a job that was so secure to put my heart in soul into this work. Part of me felt like I owed it to them to stick around. Luckily I’ve always had great mentors around me who push me out of my comfort zone! Liv: I am comfortable being uncomfortable, I live my life out of my comfort zone and I know if I’m not, I’m not living in my values and I’m not being true to myself. Liv: Currently digging to be able to work for Prepair full time. I currently have a full time job and my current goal is to find more time to be involved in all things PPNZ, until eventually it will be what I do for a living! Irene: Oh, I have some big old dreams and goals. A couple of them are, I would love to spend a couple of months in Italy purposefully to write a book – sounds crazy huh? I want to do a Ted Talk and I would love to go on a holiday this year with my partner. Irene: I LOVE that everyday I wake up and I have choice. The expectations at the end of everyday sit with me. My goals are only as big as I dare to make them and that is soo cool. I feel like this is what Freedom feels like. Irene: I’m such a 90s Hip Hop + RnB type of girl. When things get tough Liv and I literally put this on replay to get ourselves in the zone! I still remember waiting 2 days to download Destiny’s Child – The Writing’s on the Wall back in the day. I also love Lauryn Hill, India Arie! Liv: One of my favourite role models in life is Brene Brown. Whenever I am feeling low, unmotivated or ‘ick’ I watch one of her TED talks, read a paragraph of one of her books, or even pinterest her quotes! Lady crush right here, this lady always puts everything into perspective for me. Irene: I love watching Youtube Clips from Oprah, Super Soul Sundays. I also listen to Iyanla Vanzant who has a very direct approach to our role in a relationship and anything by Maya Angelou stirs my soul. 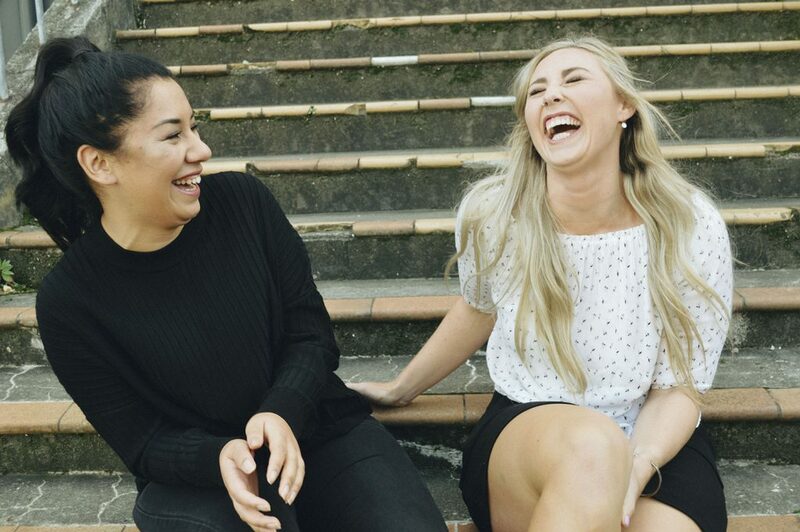 Liv: Humour honestly gets me through life… I’m constantly finding something funny. But if I’m running low on the lol’s I’ll look up some serious meme’s or watch some Seven days, they get me going pretty good! Irene: The best thing about working with Liv is that she always brings the LOLs. Tagging me in memes, showing me her line dancing moves or her sweet dance moves always crack me up! Do More… Random acts of kindness. See More… Of the world. Do More… Journalling + reading old journal entries. It’s like a little gift to yourself when you look back on the words that you wrote down for yourself. Be More… Willing to show up and be seen. Surround yourself with people who love you and make you happy, people who inspire you to be better and people who push you to achieve this. Invest in self-love, work hard at it and never stop. Be courageous and get out of your comfort zone regularly! Be clear on what your personal values are. They help set meaningful boundaries for you and others. Set a vision for yourself. Write it down, put it in a vision board or speak it out loud. It should energise you to read or look at your creation. Now keeping moving towards the goal!